The Christmas Holidays came and went like a strong gale, leaving behind tons of wrapping paper, boxes, ribbons, and all the regalia associated with the celebration. I sincerely hope it also left a feeling of serenity, peace, and hope. For me, the empty space that I have carried with me since my hubby died is still there; it was the first Christmas without him, and although my children and I tried our best to carry on, we could never quite fill it; it is much too big and deep. The New Year is almost here, and Father Time is about to retire and leave his legacy to the one who will carry on for him. I look forward to it with some hope, and a lot of trepidation. 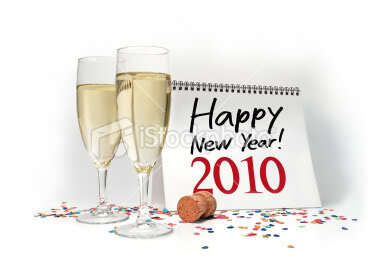 What will this year of 2010 bring? I will relate my wishes for it. Peace thoughout the world; the end to fighting and killing among all people, including the unborn. Respect for each other’s thoughts and opinions; each mind has a world of its own. The return of honesty and integrity; we have seen the efforts by our government to undo the damage of previous years. A new re-born economy for our country and the world, a resurge of jobs for the unemployed. A solution for the cure of the deceases which have ravaged society for so long. The end of racism in all forms. With the ending of the old year, we have time to reflect on what we have done, and what “we have failed to do”. There are so many things that I wish I had accomplished, so many regrets on what I was unable to do. My sincerest wish is to be a better person, to put aside petty thoughts, to do my best in all I do, and not to waste any moment of my time on “what ifs”. Life is so fleeting, lose a heartbeat, and it is gone. For family and friends, the best for the coming year. While glancing through a deluge of magazine and newspaper ads, circulars,catalogs, pamphlets, you name it, I noticed that there is one single big item missing . While they lure you with bargains, seen and unseen, they laud family gatherings, banquets, parties, feasts, but they fail to mention why we are celebrating this Christmas Season. Did they ever hear of the birth of the baby Jesus, born in a manger, in Bethlehem. Did they know that the very first gifts of this celebration were given to him, born the King of Kings? Three Wise Men from the East followed a star which guided them to the lowly birthplace where shepherds stood guard, and the animals gathered around to give him warmth. They brought gifts of gold, frankincense, and myrrh, and bowed before him. Where did we lose sight of this? It cannot possibly be only the fault of the merchants, they are, after all, in the business to sell their products and make money. Most of the fault has to be with us humans who have placed material gains above all else. I remember growing up, and being very content with my one gift from my parents, it was all we had, and we knew of no other families who had more. Emphasis was placed on the religious nature of the special day, with posadas being held at the different neighborhood houses. Us children would go from door to door, singing and begging for a place to stay, and being rejected by all, until the last home where the door was opened, and a party was held. This was the re-enacting of Joseph and Mary’s trip, seeking shelter for the immediate birth of the baby Jesus. Most families would celebrate the 6th of January, the feast of the Three Kings, to give their children the gifts that the Magi’s had left. 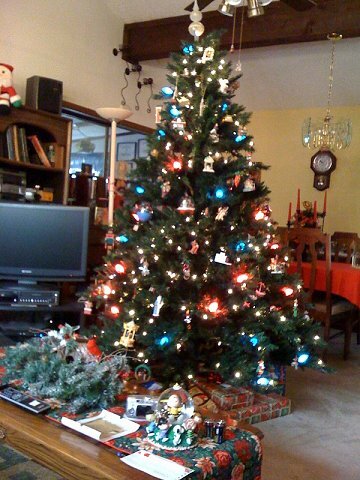 In our family we had Santa Claus leave our gift, and we went to church to pray and give thanks for what we had. With the advent of computers, it is now possible to order items, and have no further contact with the recipient. In my time, we had lay-a-way, and I remember going with my mother to diligently pay weekly on whatever she had purchased. I believe this form of buying has gone with the way of the dinosaurs. Perhaps this is progress, but I wish we could go back in time when life was not as fast, and people took the time to talk with one another. At a recent family gathering, I had two children texting each other across the room; has oral speech also gone the way of the dodo? If you have read any of those messages, you will wonder where the proper spelling of words has gone. Maybe I’m showing my age, but this celebration seemed so much meaningful; when we looked forward to it without having it shoved down our throats even before the Thanksgiving holiday. 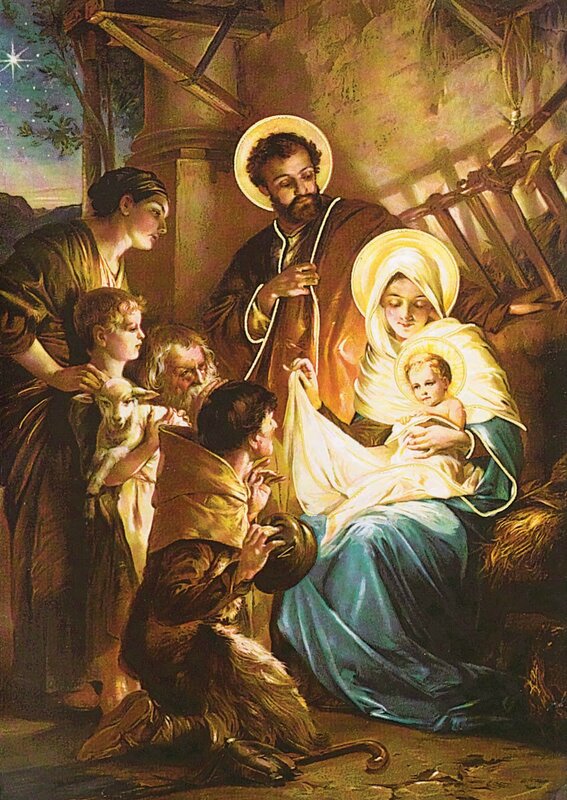 The baby Jesus did not need a grand hospital to be born; he came to earth as a humble human being, born in a manger, wrapped in swaddling clothes. Maybe we should take a second look at our celebrations and remember that He is the reason for the Season.